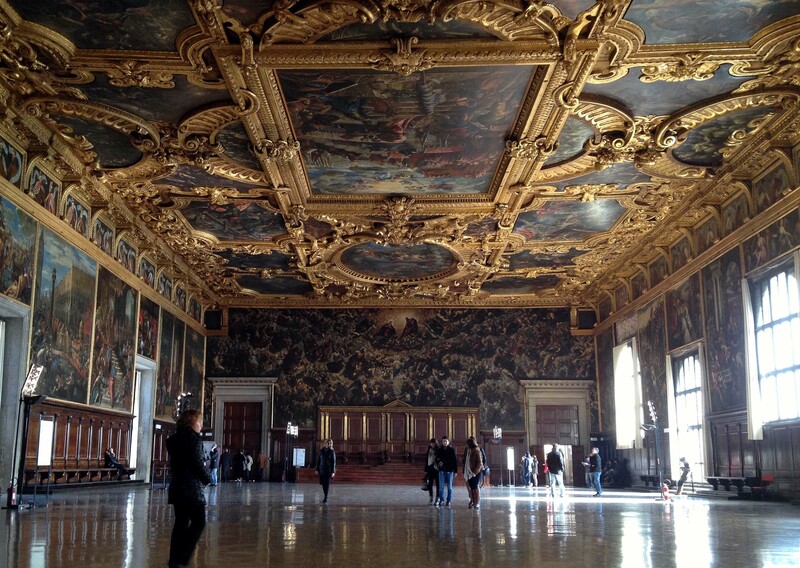 Take a behind-the-scenes look at how Venice used to be run at Doge's Palace, which once served as the residence of the doges, the city's chief magistrates. Regarded as a masterpiece of Venetian Gothic architecture, the palace is now a popular museum, attracting more than 1 million visitors each year. Works by such artists as Titian, Veronese, Tiepolo, and Tintoretto fill the interior. You can explore the monumental council chambers and richly decorated residential suites where major decisions affecting the city's fate were once made. Look in on the grim prison cells where the doges' political opponents were often locked away. A ticket for the nearby museums also grants access to this palace. Explore your ticket options online, and book well in advance to avoid standing in long lines. 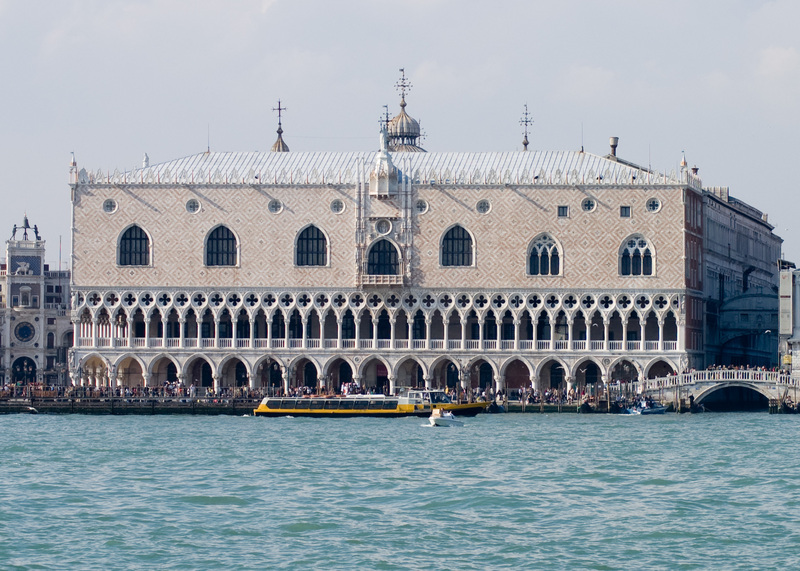 Our Venice trip itinerary planner makes visiting Doge's Palace and other Venice attractions simple, and helps you make a travel plan personal to you. We saw the outside. We were unable to get inside, but the battle of Lepanto in the subject ediniyormuş. Önermedi Guide. Time was late, too. The result is as good ... the ambiance is good. An absolutely stunning place. It is surprising what is inside once you get through the gateway. The courtyard somehow seems bigger than the outside. And the rooms are vast. The whole palace has been kept in fantastic original condition.the route round does entail quite a few stairs so put on your best walking shoes. It is worth the effort though. We went later in the day the queues seem to form early morning but they disappear later on. Most of the rooms in the palace feature wonderfully decorated ceilings, almost inviting to lie down on one's back and take a picture. Which is what me and my son did in the biggest room, the grand council chamber. Floor feels nice and cool during warm weather. Bridge of Sighs was interesting and a little creepy. Funny to see the tourists snappung away at you from the next bridge. Wave back :) All in all a very good visit. Glad we bought tickets beforehand, allowing us to skip the queue. This place is incredible. So do yourself a favor and hire a tour guide to walk you through. There is so much interesting history that you wouldn’t know about walking through on your own. There were many signs or plaques explaining what you were seeing. But even if you can’t swing the guide, this place is still so worth it because it’s stunningly gorgeous! Every single room is dripping in beauty. Every wall and ceiling is covered in murals or beautiful wood carvings painted gold. Even the staircases and hallways or breathtaking. Bring your camera/phone, because you’re allowed to take pictures everywhere! We arrived around 9:30a on a Thursday in Mid July and the line To get in stretched the length of the long building. But we’d seen it twice as long around noon the day before. Definitely go early! And plan on taking about an hour and a half to walk through. So much to see...really an amazing experience. With camera in hand, our tween even enjoyed herself (kind of). The audio tour was good....not overly verbose as some others. We had fast entry tickets, but didn't really need them at 9:15AM - quiet and not crowded at that hour. I highly recommend you go check out Doge’s Palace when in Venice! We purchased our tickets online so we didn’t have to wait in the massive line to get them. There is lots of history to take in when wandering the palace with lots of great photos to be taken. It probably took us 2 hours to go through the palace and prison. At the end of the visit you exit through a little cafeteria, which is rather pleasant and has reasonable pricing! Every day, we help thousands of travelers plan great vacations. Here are some tips on how to use your Listing Page to attract more travelers to your business - Doge's Palace. Promote your permanent link - https://www.inspirock.com/italy/venice/doges-palace-a87382907 - on your website, your blog, and social media. When a traveler builds a plan from this page, the itinerary automatically includes Doge's Palace. This is a great way for travelers looking for a great vacation in your city or country to also experience Doge's Palace. Promoting your link also lets your audience know that you are featured on a rapidly growing travel site. In addition, the more this page is used, the more we will promote Doge's Palace to other Inspirock users. For best results, use the customized Trip Planning Widget for Doge's Palace on your website. It has all the advantages mentioned above, plus users to your site can conveniently access it directly on your site. Visitors to your site will appreciate you offering them help with planning their vacation. Setting this up takes just a few minutes - Click here for instructions.